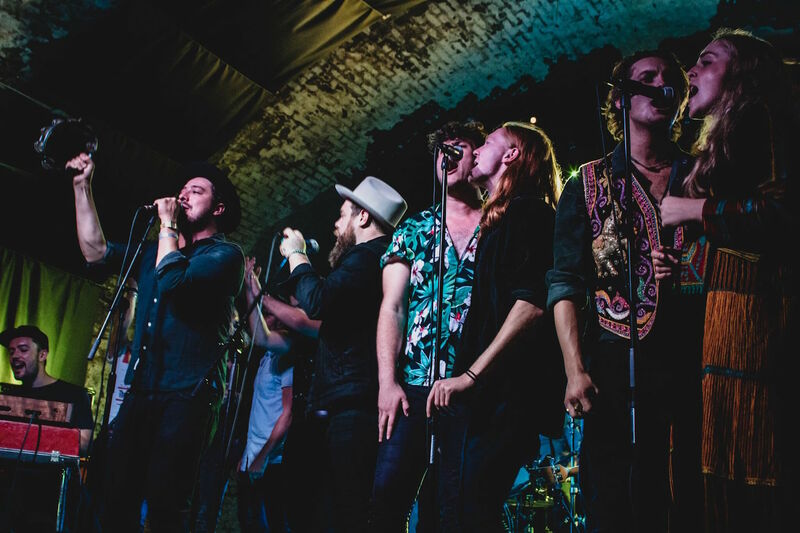 Formed in the basement of Notting Hill Arts Club in 2006 by Mumford and Sons guitarist Ben Lovett, multi-instrumentalist Kevin Jones (who would later form Bear’s Den) and acclaimed producer Ian Grimble, Communion Music began as a platform to develop artists in a supportive community of fans and musicians, away from the money-driven menace of the mainstream. Now, a fully formed Independent record label, live promoter and publisher on both sides of the pond, their ongoing success comes as a result of this creatively collaborative environment. Boasting a consistent wealth of talent in the form of Jack Garratt, James Bay, Catfish and the Bottlemen and Ben Howard to name a few, along with hundreds of live shows over the years, Communion has grown from its humble beginnings as a monthly club night into an annual cross country tour (Communion New Faces), a multi-venue one-day festival (Bushstock) and a specially curated music show on Radio X (Communion Presents). 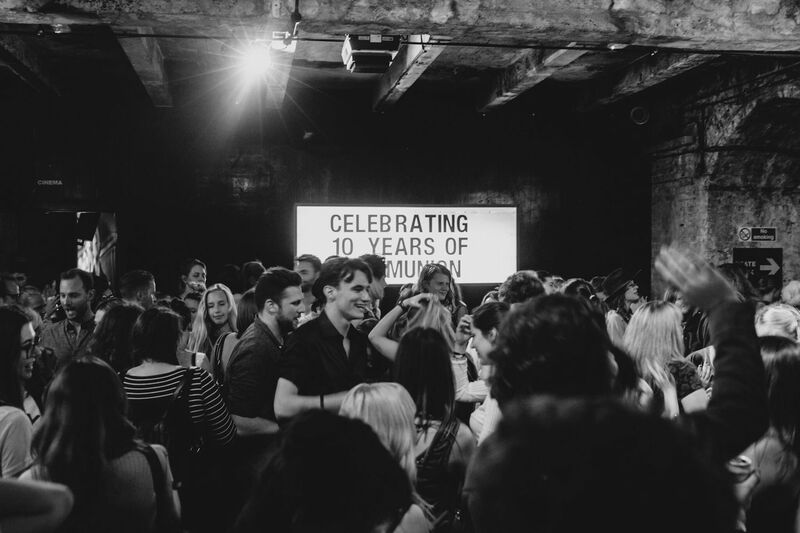 “Commun10n”, as the birthday bash was christened, was a decade’s dance of friends, family and music fans hosted within the light-projected caves of House of VANs. A series of intriguing tunnels and twisted arches led to several spaces throughout the venue including bars, a live music stage, a cinema screening the labels critically acclaimed on the road doc ‘Austin to Boston’; as well as a retrospective gallery showcasing art work, live photos, portraits and album covers from the last 10 years, which will be exhibited until 18th September. Nathaniel Rateliff and the Night Sweats played house band for the evening, kicking things off with some of their own rhythmic numbers before inviting the faces of some of Communion’s biggest artists such as Dan Croll, Jack Garratt, Bear’s Den, James Bay and Matthew and the Atlas (Communion’s first ever signing) and up and comers Marthagunn, Rukshana Merrisse, Joseph. J. Jones and Banfi on stage to swap a standard showcase for some iconic soul tunes. Marthagunn joined Dan Croll with a tender rendition of Tracks Of My Tears, whilst Rukshana Merrisse channelled her inner Aretha Franklin with Respect and Jack Garratt belted out a spirited cymbal-bashing performance of Curtis Mayfield’s 70’s tune Move On Up. 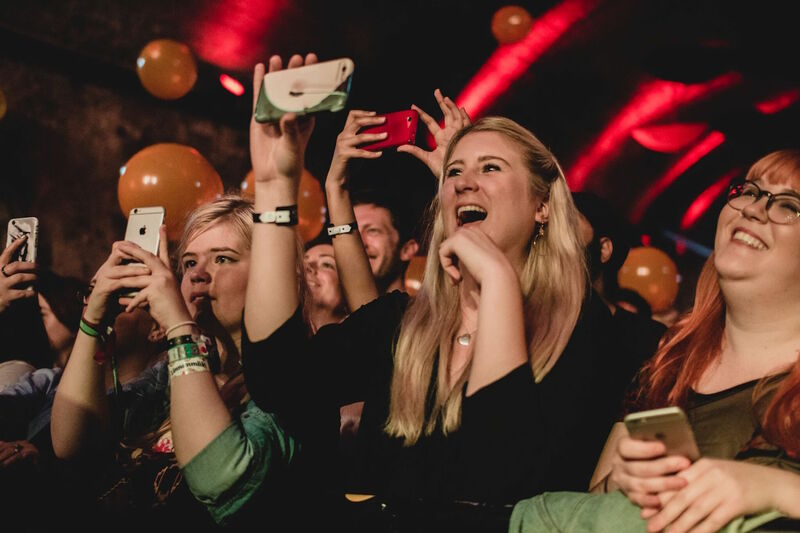 As balloons fell from the ceiling and the chime of ‘Happy Birthday’ echoed throughout the underground tunnels, the fans and artists who had supported each other through the basement bars and churches that brought them to this night, celebrated in mutual adulation. “10 years of people being good to each other. That’s all that matters, right?” Nathaniel Rateliff proclaimed as a special appearance by Mumford and Son’s Marcus Mumford and Winston Marshall saw all acts take to the stage for a fittingly uplifting rendition of The Beatles’ With A Little Help From My Friends. An image of support and friendship that summed up the entire aesthetic of this musical community. This, my friends, is everything Communion Music is about. So let’s raise a glass – to the artists, to the tunes and to the last ten years. Congratulations Communion. Here’s to many many more.